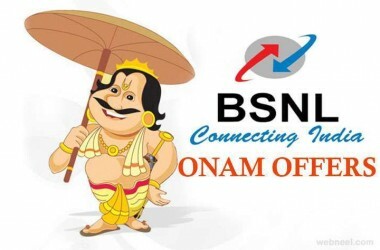 Thiruvananathapuram: The week-long Onam celebrations organized by the state Tourism department came to an end with the rich and colourful cultural pageant which enthralled thousands of spectators flocked along the streets of the capital city. 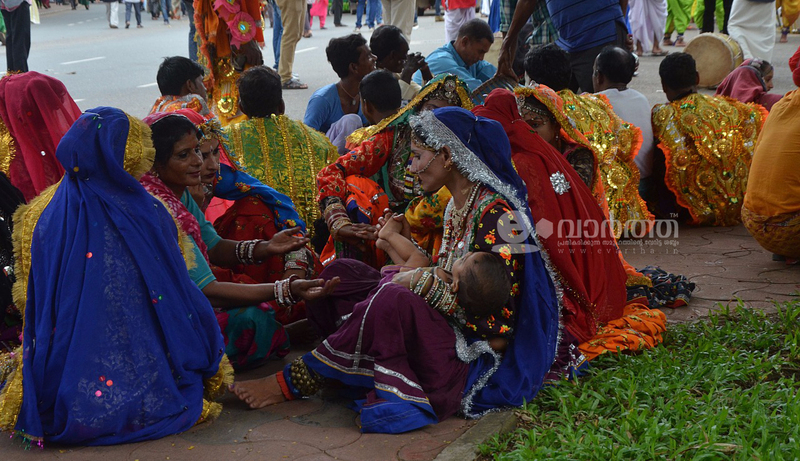 By noon itself, people thronged the sides of city roads. 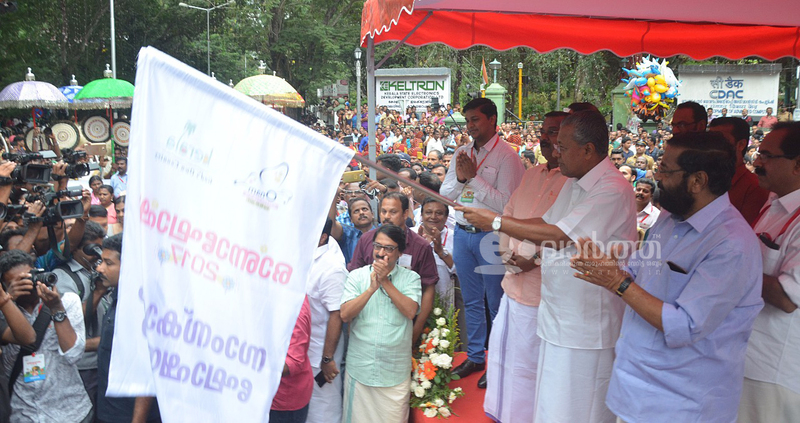 Chief Minister Pinarayi Vijayan flagged off the pageantry at Vellayambalam around 5 in the evening. The procession started to its rhythmic beats when Tourism Minister Kadakampally Surendran handed over the musical instrument Kombu to the main artist. The pageant ended at Attakulangara. 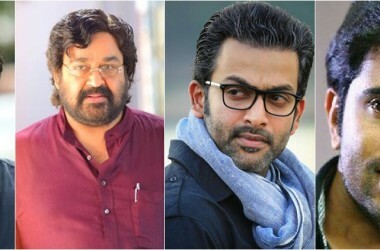 Along with Pinarayi Vijayan and his family, ministers such as Kadakampalli Surendran, K K Shailaja as well as the family of Minister K Raju were present during the event. Also, C Divakaran MLA, D K Murali MLA, B Sathyan MLA, CK Hareendran MLA, K Muraleedharan MLA, O Rajagopal MLA, V K Prashanth, Rakhi Ravikumar Dy Mayor, V K Madhu, District Panchayath President, Dr. Venu V IAS, Principal Secretay, Department of Tourism, Dr. Vasuki, District Collector, Thiruvananthapuram, P Balakiran IAS, Director, Kerala Tourism, Jafar Malik, ADG, Kerala Tourism, DGP Loknath Behra, B Sandhya ADGP, Sreelekha IPS ADGP etc too enjoyed the pageantry. The elegance of Equestrian Army was at the front, followed by 100 men dressed in Kerala style holding Muthukuda. Along with them there were Mohiniyattam dancers holding Olakkuda. 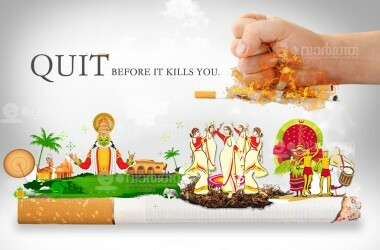 Velakali, Aalavattam and Venchaamaram, Keralite art forms like Theyyam, Kathakali. Velakali, Padayani, Pulikali, Nilakavady, Pookkavadi, Chinth Kavadi and Amman Koda followed. The list of exciting melams include Panchavadyam, Chendamelam, Shinkarimelam, Band and the Perumbara. The peculiarity of this year’s pageant was the art forms and instruments associated with the festival and cultural events across Kerala. Around 3000 artists participated in the procession. 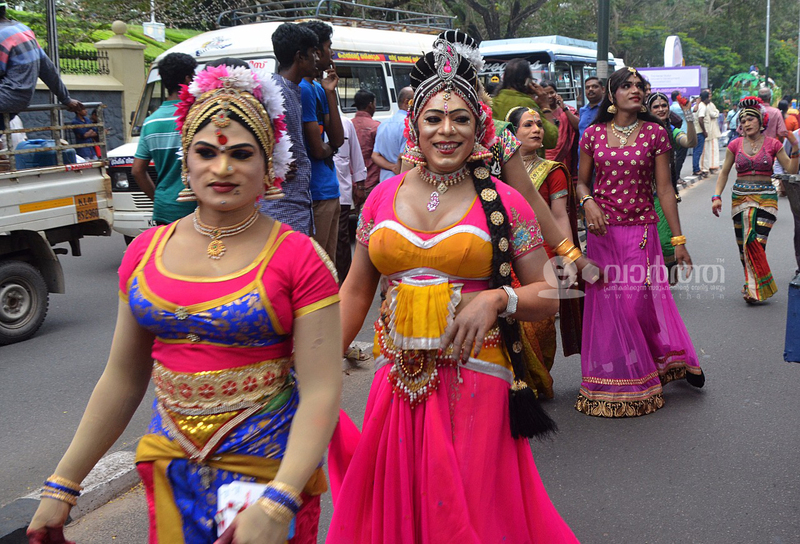 Dance forms like Oppana, Margamkali, Tiruvatira, Duffmutt, Kolkali symbolized the religious harmony of Kerala while four dozen different Keralite art forms like Mayura dance, Paruthanttam, Garudan Parava, Arjuna dance and Kummakikkali added grandeur to the rally. 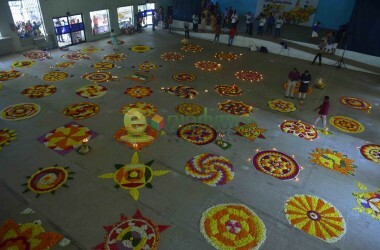 The gameplays to boost the curiosity of the spectators included the bommmakali, chavittunadakam, parichamuttukali, pantham veesal and valluvanadan artforms. Along with this, artists from Assam, Rajasthan, Haryana, Jammu & Kashmir, West Bengal, Andhra Pradesh, Telangana, Karnataka, Gujarat and Tamilnadu presented beautiful performances. The spectators will get clear descriptions of the artforms through light arrangements and ample descriptions in front and behind. Tableaux featuring topics like GST, transgenders, job security, Thiruvanantapuram corporation becoming Smart city etc were of high standard. Floats covering four important missions of the state government- social security for all, Home to everyone, electricity to everyone, organic vegetable farming, Welfare pension,economic stability, growth of Kerala, environmental protection and related topics, Responsible tourism, Green Protocol, awareness against drugs, my garbage my responsibility, renewable energy etc also got cheers from the crowd. 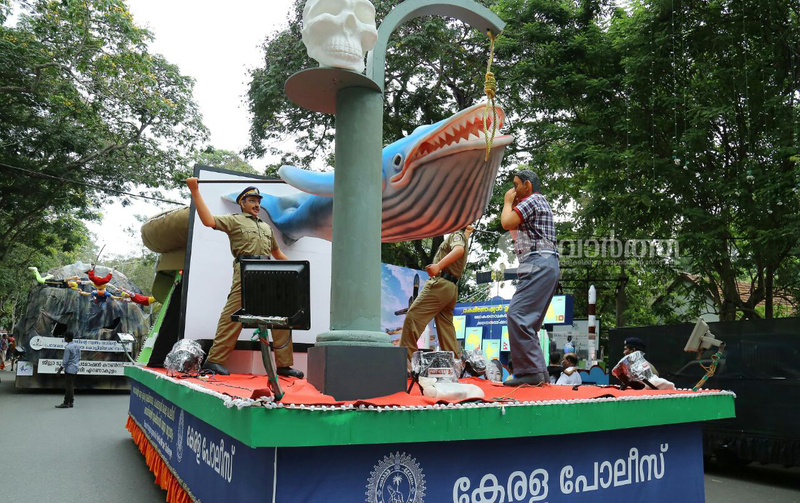 Tourism department presented float based on its legendary project “Jadayu Rock” in Chadayamangalam. All floats followed Green Protocol of the government. The topics were all relevant too. Flawless police security arrangements were in place. Law and order teams included Mufti Police, Women policeand Pink police. 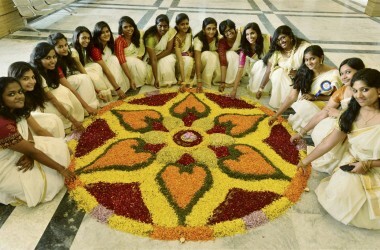 The Onam celebration this time followed strict financial discipline. Without losing out on any grandeur, this year’s pageant was conducted at an expense of 34 lakhs. Ambulance Services were arranged in various locations such as Kowdiar, Velayambalam, Keltron, Corporation, Palayam, University College, Statue jn , Ayurveda College Junction and East Fort. 9 units of Fire and Rescue force services were also made available. SBI Life Insurance provided drinking water for spectators. Art forms were performed in 30 different centers in city. Big crowds gathered to watch all performances. The city was literally suffocated during the hours.